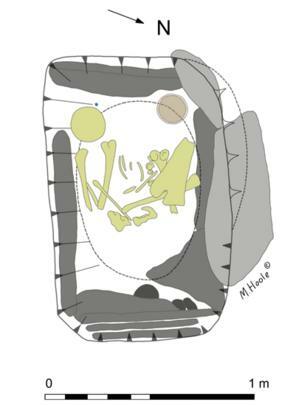 An archaeologist shares her illustrations of Ava, a young woman who died more than 3,700 years ago in the far north of Scotland. 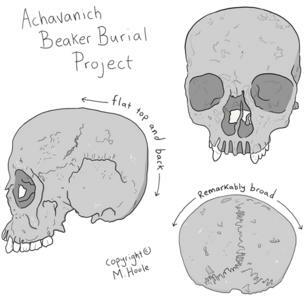 Archaeologist Maya Hoole has set up the Achavanich Beaker Burial Project to raise awareness of the remains, including a skull, of a woman who died more 3,700-years-ago. 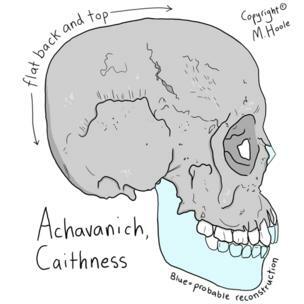 The bones were discovered at a Bronze Age burial site at Achavanich in Caithness in 1987. 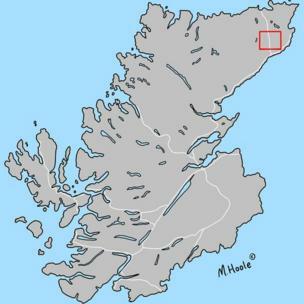 Ms Hoole told BBC Scotland earlier this month she hoped more research using new technology could be done on the remains and site in the future. 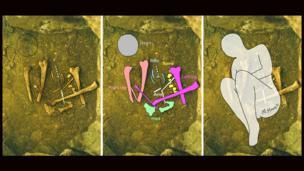 The archaeologist has now shared illustrations she has created of the bones and the burial site, including this reconstructed site plan showing the location of all of the finds in the cist. As the original excavation notes have been lost, Ms Hoole used photographs taken during the excavation in the 1980s to create her reconstructions. This one shows the hypothetical position the woman, who has become known by the nickname Ava, was buried in. The background image used was courtesy of Highland Council. 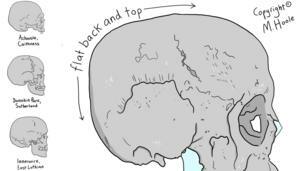 Ava's skull has an unusual shape, which some archaeologists argue was caused by a hereditary trait, whilst others think by a deliberate practice of head-binding. 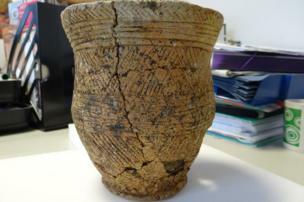 The young woman was a member of the Beaker people, a group found elsewhere in Scotland and Europe. 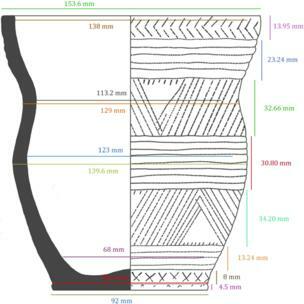 Short and round skull shapes were common amongst Beaker people. Ms Hoole based her illustrations of Ava's skull on images published in the past by the Proceedings of the Society of Antiquaries of Scotland. 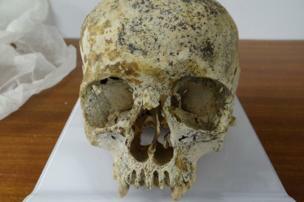 A full skeleton of the young Bronze Age woman was not found. 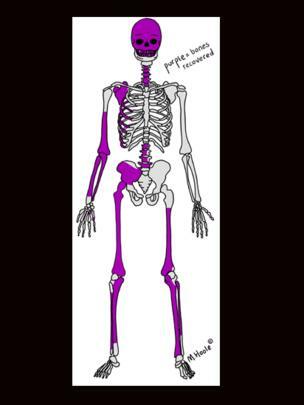 This illustrations shows in purple what bones were recovered. Ava was buried with a decorated beaker.